Regus Offices, Cinnamon House, Cinnamon Park, Crab Lane, Fearnhead, WARRINGTON, WA2 0XP. The G.Os.C. is a government body set up to give Osteopaths the same recognition, training and ethical standards to that of Doctors, Dentists and Opticians. 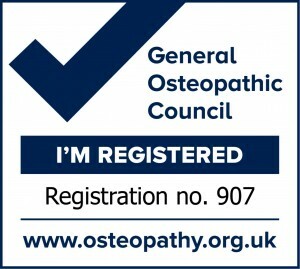 From May 2000 it became an offence for anyone practicing in the UK to claim expressly or by implication to be any kind of Osteopath unless registered with the G.Os.C . Hello, If you’re here for the first time or checking me out even, why not have a read and see if this practice is what you’re after. If in doubt ask around there’s nothing like personal recommendation. I look forward to seeing you soon. Osteopathy is used to help relieve discomfort and stiffness associated with age injury and disease. Although the word Osteopathy does mean the study of bones treatment is mostly to soft tissues, such as muscles, ligaments and connective tissues. Using gentle massage, articulation, stretching and if appropriate controlled joint release is used to achieve a desired restoration of good function to muscle, nerve and circulation this allows the body to heal without the obstacle of dysfunction. i.e. Treat the cause not the symptoms. It is our aim to make you feel welcome comfortable and at ease and be treated as we would wish to be treated ourselves. Every effort is made to give a quick and lasting improvement whilst being sensitive to your levels of pain and discomfort during treatment. 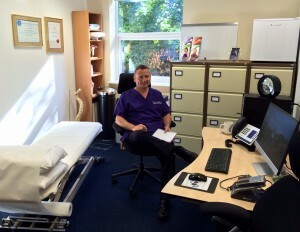 WHERE DO I FIND PROFESSIONAL AND RELIABLE SERVICE IN OSTEOPATHY?